We LOVE our coffee and we LOVE fun quotes! 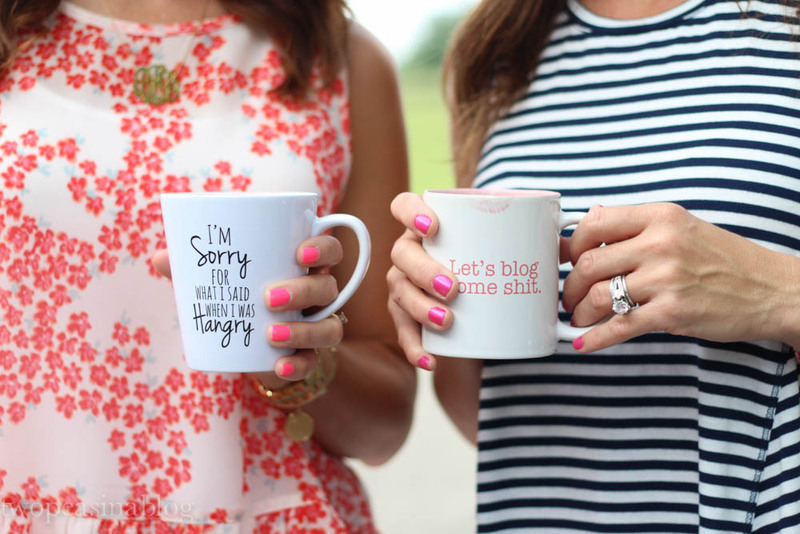 These coffee mugs from A Cup of Quotes are adorable! 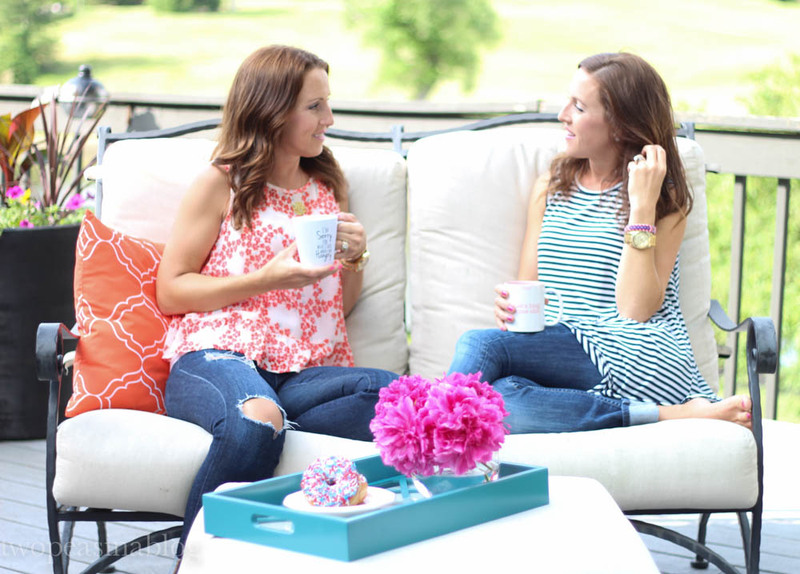 Being able to sit together and chat with a cute mug in hand is a great way to start the day before all the energetic kids get us moving. Living in separate states, we only get together every couple months. Writing 'Two Peas in a Blog' together and being sisters, we talk ALL the time but it's not the same as talking face to face. How true is this mug?!! 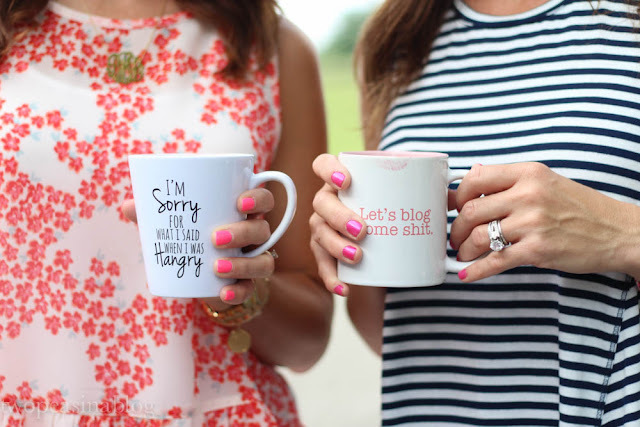 With wedding season in full swing, how cute are these mugs! Or if you are looking for a little something for the love in your life, how about this mug! This adorable mug will get you off to a positive start in the morning. 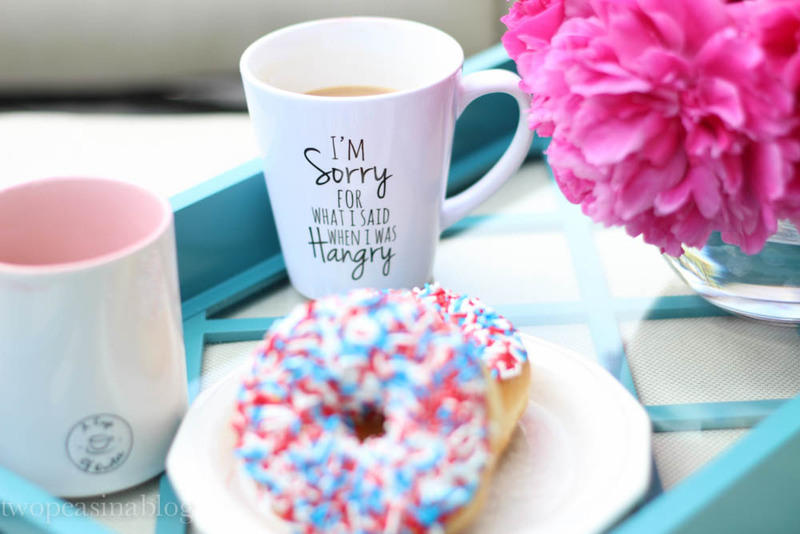 A Cup of Quotes even gives the option to customize a mug with your own saying. For FREE SHIPPING, use promo code: BLOGANDCOFFEE. This etsy shop is SOOO CUTE! Thanks for introducing me, I will favorite them for some inspiration or future shopping. You two look so laid back and cute! They have some really adorable quotes! I absolutely adore A Cup of Quotes! Cutest Mugs ever!! These pics are ALSO the cutest ever!! Thanks Christina! 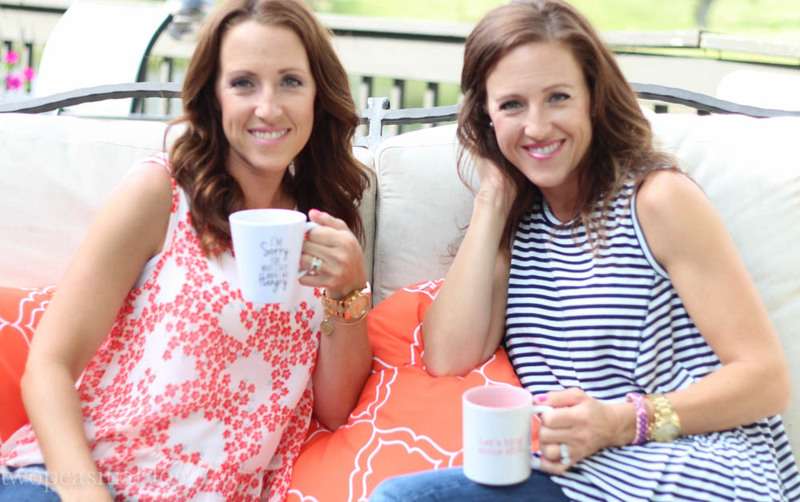 Love their mugs!! Yes pretty sure I need that blog one!!! So fun!!! So fun! I love this post and seeing y'all together. I LOVE mugs and collect them- the ones with catchy sayings are always my fave. Thanks for sharing! I was actually looking at these earlier today! I love the blogging one! These are hilarious!! We love our coffee here too...probably a little too much! These mugs are so cute!!! Those mugs are so adorable! 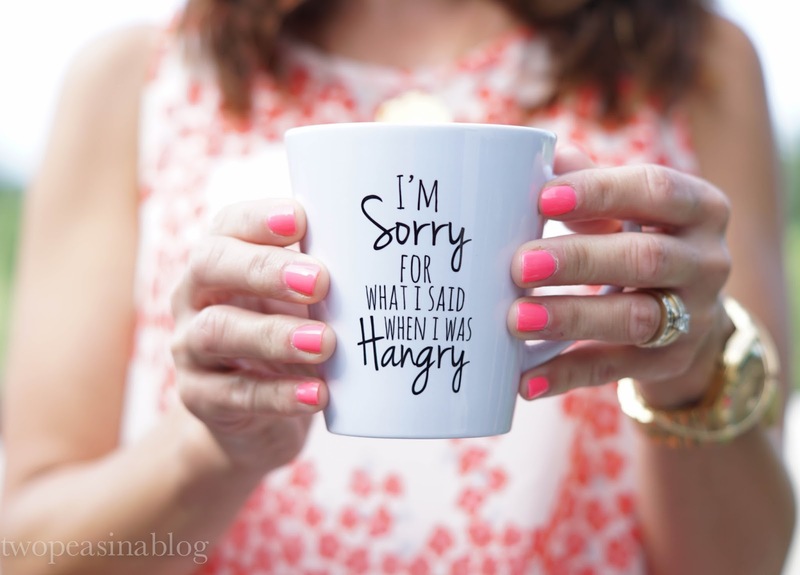 I may have to order the hangry one for my friend! Those are SO cute! I am a sucker for cute mugs! So super cute…I have got to pick up one of these! 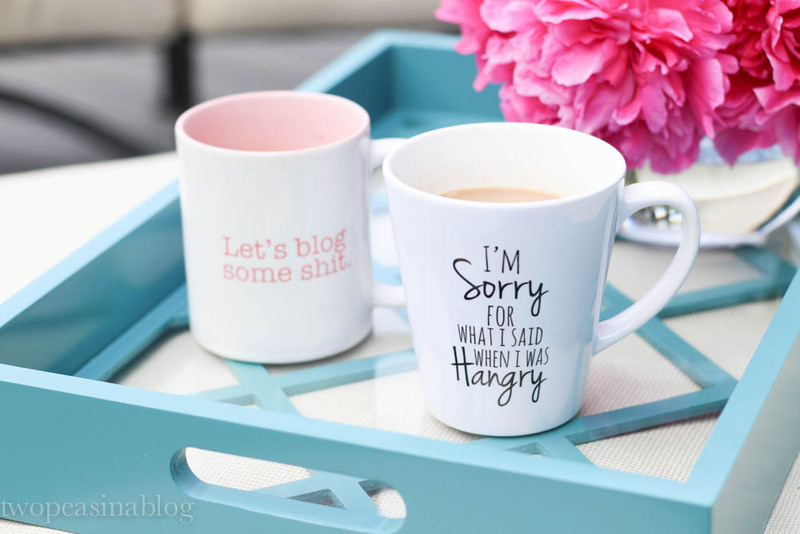 These mugs are too cute! I love all the sayings! 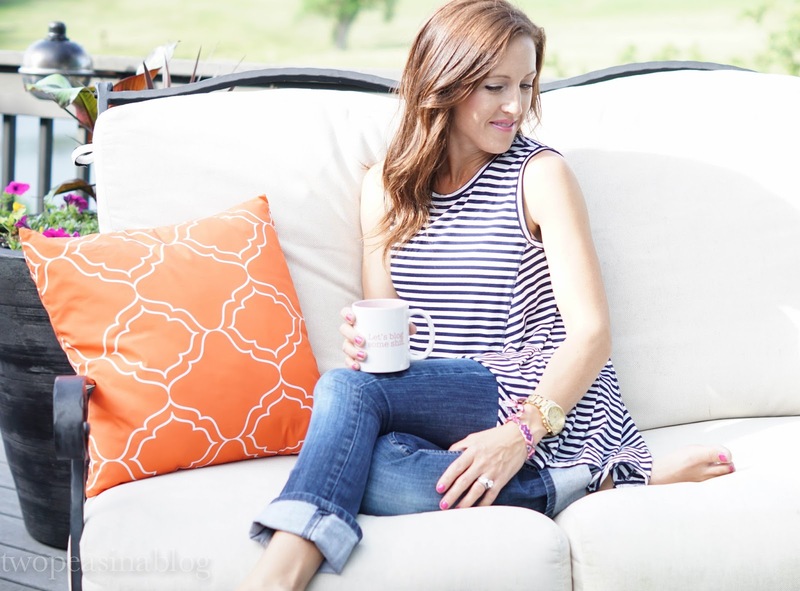 I'm stopping by from the Style Sessions Linkup! You guys look adorable in this post. These mugs are so fun! You two are the cutest! 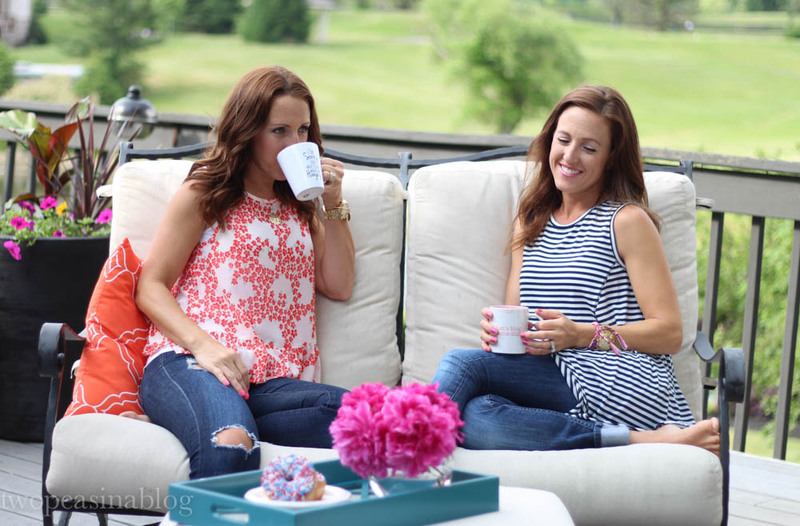 Love this post and those mugs are amazing! Oh I so need that Hangry mug hah! I love mugs and I totally need that hangry one!!! Heya just wanted to give you a brief heads up and let you know a few of the pictures aren’t loading correctly. I’m not sure why but I think its a linking issue. I’ve tried it in two different web browsers and both show the same results Get More Info.